“Tuesday Night Improv” is a weekly* show featuring the best and brightest of the Columbus improv scene. It showcases the variety of styles and forms of improvisation to the growing improv audiences in Columbus. Each show is different, from short form, to long form, to Deuces Wild, to experimental improv. And you will never see the same show twice. All shows are Tuesday night*, 8:00 pm at MadLab Theatre, 227 N. 3rd St., Columbus, OH 43215. Tickets are $8 and are available at madlab.net or at the door. *Please click here FaceBook page to check for show dates. Sometimes MadLab is preparing for a show or has booked a rental for the theater and TNI is cancelled. Click here to go to our Event Page. Make A Scene Improv is not currently offering any classes or workshops. 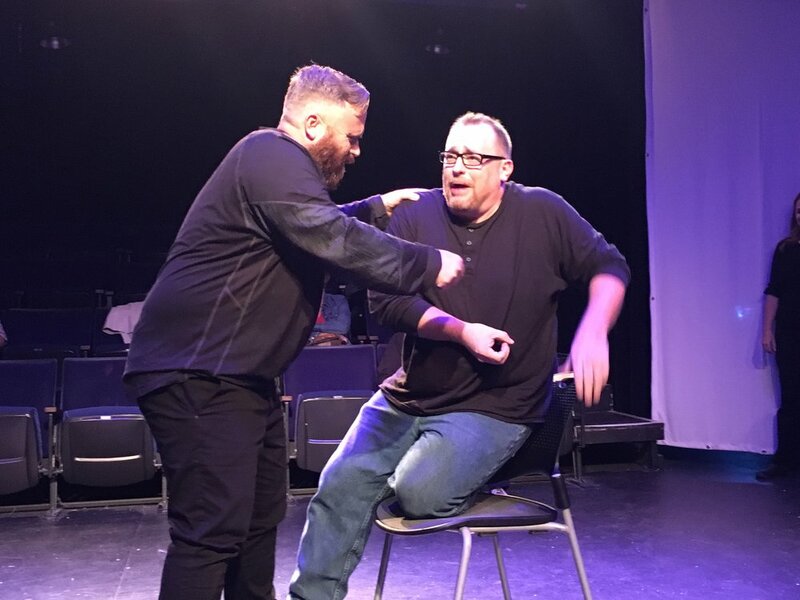 If you have an interest in doing improv, expanding your skills as an improviser or actor, or are interested in corporate training contact Brad Shimp at 614-579-6482 to get you started. You may also email him at bshimp@me.com. Brad can point you in the right direction. 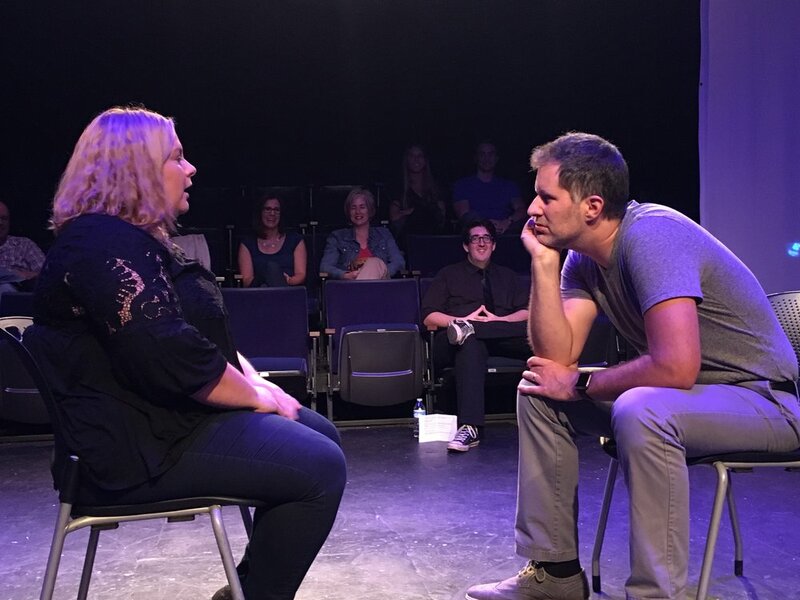 NEW TO IMPROV: If you are new to improv there are opportunities to learn the art form. The Nest Theatre offers four levels of classes and are offering them all the time. They also offer a host of electives featuring advanced training in various improv forms. Go to the nesttheatre.com to find out when classes begin. Jeff Gage offers beginning and advanced "Short Form" improv classes at www.improv-columbus.com. 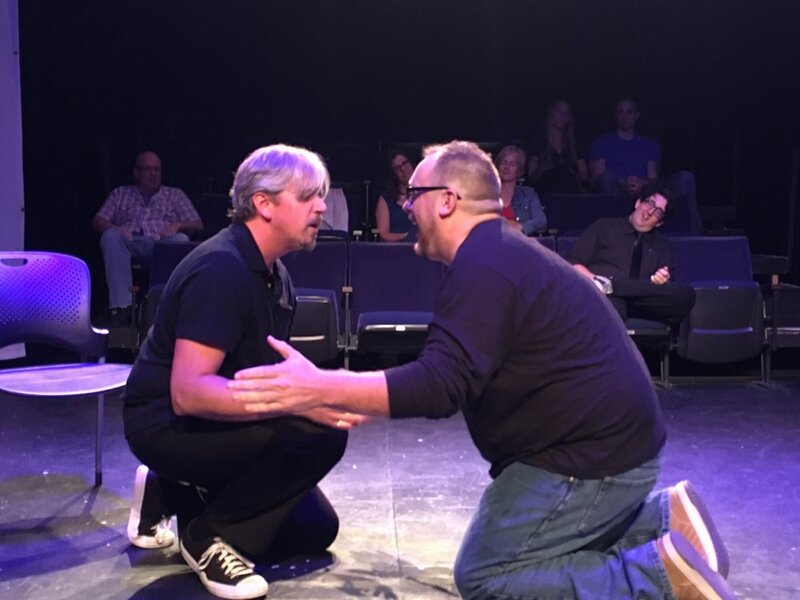 In Jeff's classes you will learn the fundamentals of improv: "Yes, And", building a relationship, being present on stage, and working together to create a scene.